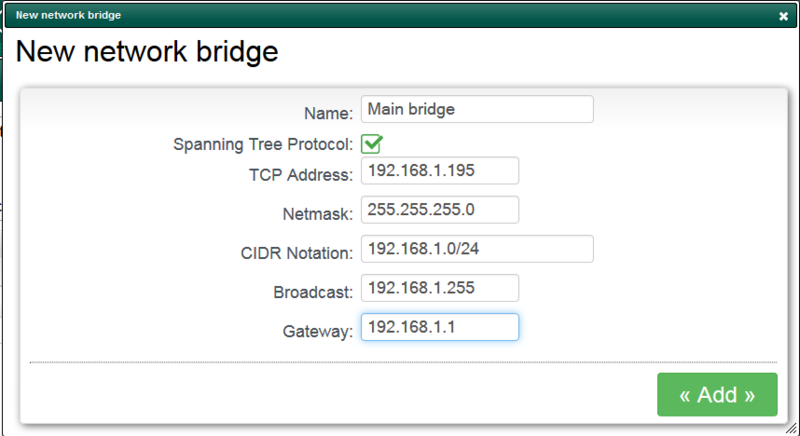 Artica allows you to create a bridge between multiple interfaces. 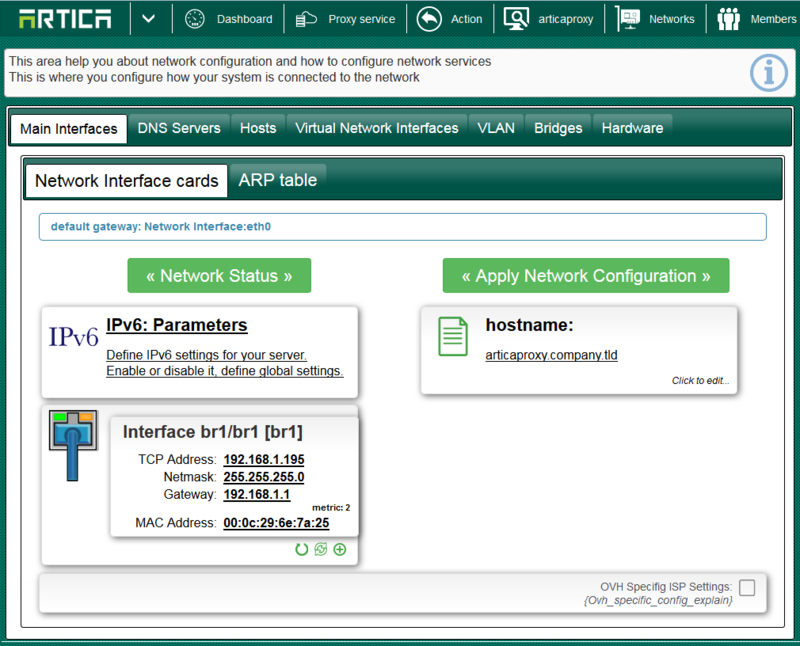 This network integration mode is available on all Artica appliances. 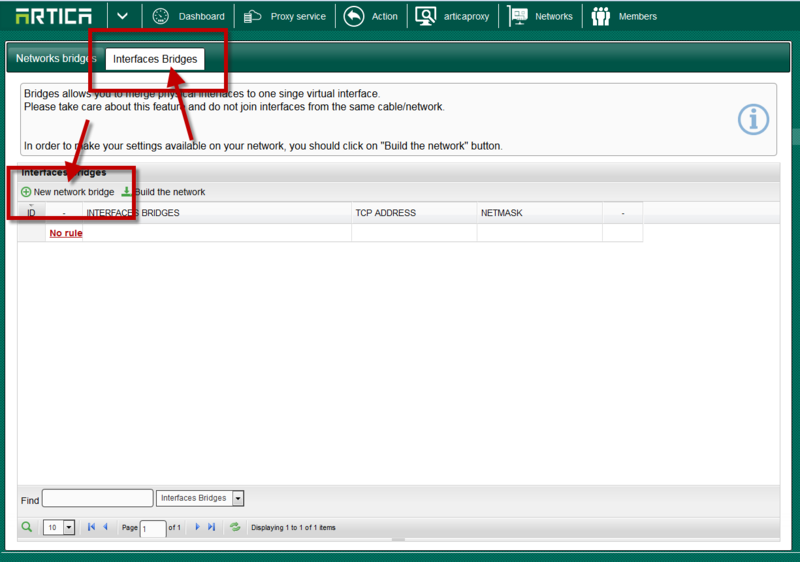 In Bridge mode your Artica appliance must be inserted in your network topology as a bridge, in order to act on the link you wish to filter. In this configuration, your Artica must use at least 2 network interfaces, typically eth0, eth2. eth2 This interface must be connected to the internal side of your network 2. 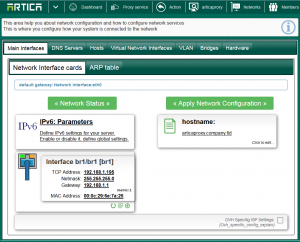 Your outgoing network traffic will go through your internal network, entering via the Artica eth0 interface, and leaving via the Artica eth2 interface towards your firewall or Internet connection. 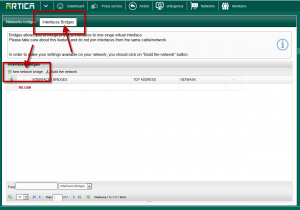 The bridged interfaces do not have a default bypass configuration which enables traffic to pass between both interfaces in the event of a hardware failure of your Artica. Consequently, the failure of your Artica will cut off your Internet access. 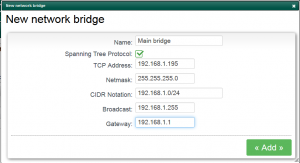 This form allows you to create a free bridge that will be designed to receive your network card. 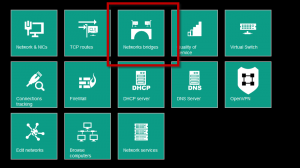 If you are set the bridge into a different network, the apply setting will failed because the appliance have changed it’s IP. 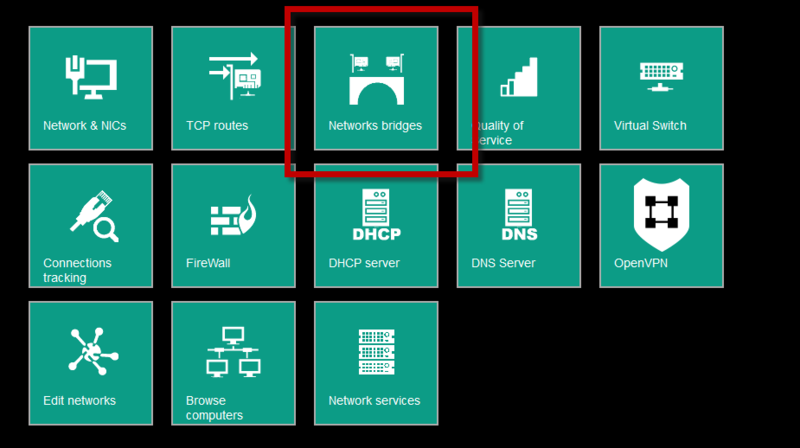 Set your browser to the correct IP, under Interface cards section you should see only one Interface card the represents your bridge.